The only appropriate word one can use to describe boarding a train at Chernihiv and journeying in the direction of the Chornobyl Exclusion Zone is surreal. I share the ride with no one specific passenger - there's an elderly man with a bicycle, a mother and her young son. There are young women that kissed their boyfriends goodbye on the platform at Chernihiv, and the stereotypical babushkas. The old coaches are banked in groups of six, three seats facing three on both sides of the aisle. Window panes are caked in dirt, and the glass is slightly warped, distorting the view outside the train. Rain begins to fall, pattering on the window glass, and distorting the view further. A woman seen through the window continues to till her field, unhindered by the rain or anything else perhaps more sinister in the soil. I see trees whose top halves are red and bare, where the bark refuses to grow, and I wonder idly if this is a side effect of radiation. The train makes several stops, and at most of them I don't see a station name or even a platform. Before too long, the train arrives at Slavutych, the resettled home of many displaced from Pripyat after the Chornobyl disaster. 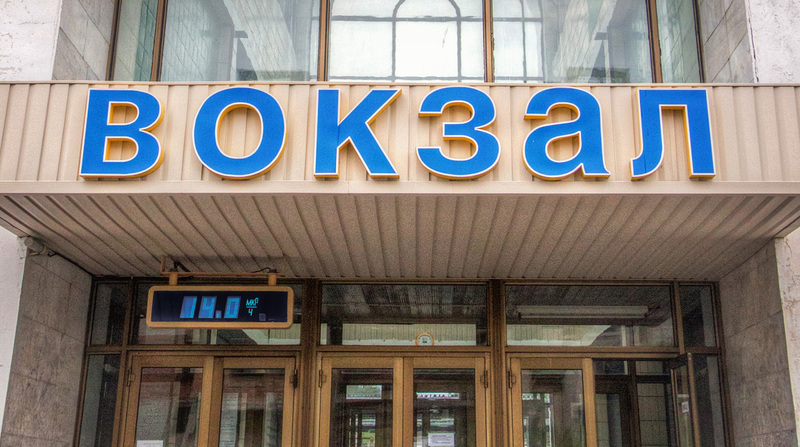 Besides Chernihiv, it is the only real station on the line. Most people get off here, and a man on the platform grabs my bag and lifts it down to the ground for me - I nod in thanks. I watch as the train continues west to Nedanchychi, and ever closer to Chornobyl. Being here in Slavutych, that too can only be described as surreal. For a city of around twenty-five thousand people, everything looks remarkably empty. Perhaps they're all hiding from the rain. Nonetheless, the unfinished or abandoned building across the street from the train station makes me feel as if I've entered a world similar to Detroit, or Gary, Indiana. 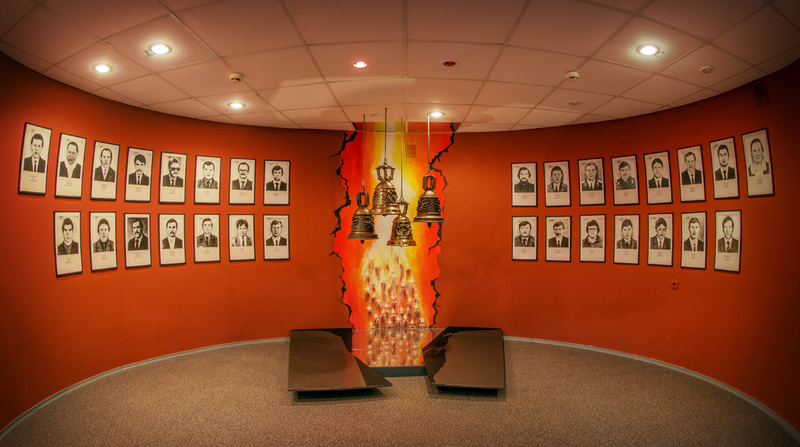 A quick visit to the Local History Museum of Slavutych and Chornobyl proves that Slavutchane feel pride for their city, but it is impossible to deny that an era has ended. The Chornobyl Nuclear Power Plant was finally decommissioned in 2000, leaving many out of work. As long as the plant still has nuclear fuel on site, it will require a workforce, but never at the same levels as an operating plant. A city custom-built to serve Chornobyl has in some respects lost its purpose. Since the decommissioning, citizens have moved on. 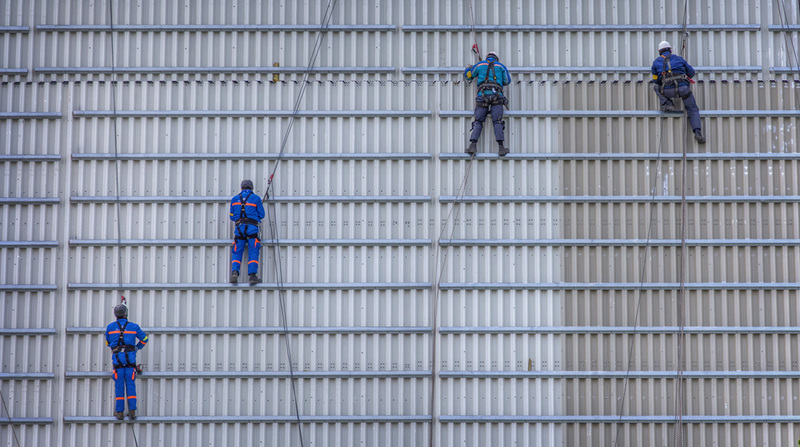 As work continues on the new arch to cover the aging Chornobyl sarcophagus, the inevitable question is what will happen to Slavutych when that important task is also completed? Undoubtedly more residents will be out of jobs, and perhaps more will flee. After thirty years, will Chornobyl's effects claim the life of yet another city? "[Chornobyl] exposed the communist party, all the secrecy, the callousness, the self-interest. On May Day they ordered children into the streets. People don't forgive when it affects their children. They never forgave, and they began to curse the party." If Slavutych's future is considered uncertain, perhaps only the future of nuclear energy is even more so. The Chornobyl disaster had drastic effects on all of humankind, beyond the pollution of land and people. It undoubtedly was a catalyst for the breakup of the Soviet Union. With scrutiny from the west, Chornobyl was not another disaster that could be swept under the rug. As the Soviet media was granted unprecedented access under the new policy of "glasnost" - openness - they began to question more, and see past crimes for what they were. But beyond even that, a once promising technology had become stigmatized. Opponents of nuclear technology became even more vocal. Though some nuclear plants were opened in the years after the Chornobyl disaster, Fukushima may have been the final nail in the coffin of nuclear power. Countries once known for their nuclear prowess, like Germany, have instead vowed to phase out nuclear power. It is a stark contrast to the initial years of the atomic age, when scientists pictured miniature reactors inside every automobile. After seeing the destruction wrought first hand, it is a bit hard to be impartial. Is the stigma of nuclear power justified? Around a hundred nuclear reactors are still in operation in the United States, and they provide just under 20% of the country's total electric generation. While it is true that nuclear plants do not produce the same toxic greenhouse gasses as fossil fuels, one of the initial pros of nuclear power, it is painfully obvious that other toxic substances are generated by the nuclear process. And the ample safety systems required to prevent such substances from entering the environment inevitably makes nuclear power far more expensive than the optimistic predictions of yesteryear. 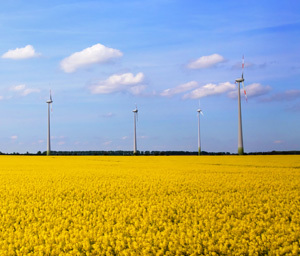 Wind turbines in Saxony-Anhalt, Germany. As the gleaming arch of the New Safe Confinement moves into place to cover Chornobyl's weathered sarcophagus, it is hard to believe that it is anything other than the symbolic end of the nuclear age. Germany has proven that its vows to phase out nuclear power were not just idle talk. Eight German nuclear reactors have been closed since the Fukushima disaster, and the remaining nine are to be shuttered by 2022. Meanwhile, renewable energy produced has increased from around 6% in 2000, to nearly 25% in 2012, and the hope is to have 35% of power generated by renewable sources by the time nuclear power is phased out. Perhaps with such an example, the future is not as uncertain as one would think.